Australian Prime Minister Scott Morrison has refused to intercede on behalf of Assange, an Australian citizen, even though the new government in Ecuador, led by Lenín Moreno - who calls Assange an “inherited problem” and an impediment to better relations with Washington - is making the WikiLeaks founder’s life in the embassy unbearable. Almost daily, the embassy is imposing harsher conditions for Assange, including making him pay his medical bills, imposing arcane rules about how he must care for his cat and demanding that he perform a variety of demeaning housekeeping chores. Assange was once feted and courted by some of the largest media organizations in the world, including The New York Times and The Guardian, for the information he possessed. But once his trove of material documenting U.S. war crimes, much of it provided by Chelsea Manning, was published by these media outlets he was pushed aside and demonized. A leaked Pentagon document prepared by the Cyber Counterintelligence Assessments Branchdated March 8, 2008, exposed a black propaganda campaign to discredit WikiLeaks and Assange. 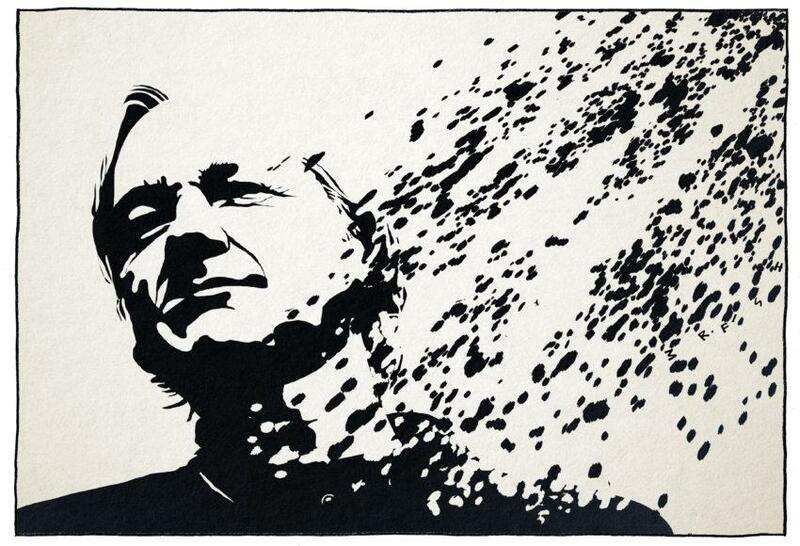 The Democratic Party - seeking to blame its election defeat on Russian “interference” rather than the grotesque income inequality, the betrayal of the working class, the loss of civil liberties, the deindustrialization and the corporate coup d’état that the party helped orchestrate - attacks Assange as a traitor, although he is not a U.S. citizen. Nor is he a spy. He is not bound by any law I am aware of to keep U.S. government secrets. He has not committed a crime. Now, stories in newspapers that once published material from WikiLeaks focus on his allegedly slovenly behavior—not evident during my visits with him—and how he is, in the words of The Guardian, “an unwelcome guest” in the embassy. The vital issue of the rights of a publisher and a free press is ignored in favor of snarky character assassination. We learned from the emails published by WikiLeaks that the Clinton Foundation received millions of dollars from Saudi Arabia and Qatar, two of the major funders of Islamic State. As secretary of state, Hillary Clinton paid her donors back by approving $80 billion in weapons sales to Saudi Arabia, enabling the kingdom to carry out a devastating war in Yemen that has triggered a humanitarian crisis, including widespread food shortages and a cholera epidemic, and left close to 60,000 dead. We learned Clinton was paid $675,000 for speaking at Goldman Sachs, a sum so massive it can only be described as a bribe. We learned Clinton told the financial elites in her lucrative talks that she wanted “open trade and open borders” and believed Wall Street executives were best-positioned to manage the economy, a statement that directly contradicted her campaign promises. We learned the Clinton campaign worked to influence the Republican primaries to ensure that Donald Trump was the Republican nominee. We learned Clinton obtained advance information on primary-debate questions. We learned, because 1,700 of the 33,000 emails came from Hillary Clinton, she was the primary architect of the war in Libya. We learned she believed that the overthrow of Moammar Gadhafi would burnish her credentials as a presidential candidate. The war she sought has left Libya in chaos, seen the rise to power of radical jihadists in what is now a failed state, triggered a massive exodus of migrants to Europe, seen Libyan weapon stockpiles seized by rogue militias and Islamic radicals throughout the region, and resulted in 40,000 dead. Should this information have remained hidden from the American public? You can argue yes, but you can’t then call yourself a journalist. “They are setting my son up to give them an excuse to hand him over to the U.S., where he would face a show trial,” Christine Assange warned. “We need to make our protest against this brutality deafening,” his mother said.